Lake Powell offers the Angler a unique experience for “Journey in Time” fishing. With its 2000 miles of shoreline its many Canyons gives you the impression your fishing in Monument Valley. The Lake offers some of the best scenic fishing in the world. If Houseboating from your own Houseboat or rental, Ambassador Guides will meet you at your Houseboat wherever you are camped on Lake Powell for your fishing experience in that area. Corporate Houseboat Fishing packages can be booked through Ambassador Guides. We launch from Stateline Launch Ramp which is located 1/4 mile past Lake Powell Reorts. Licensing can be purchased in town at Styx Market on Lake Powell Blvd- or at the Marina at Lake Powell Resorts. 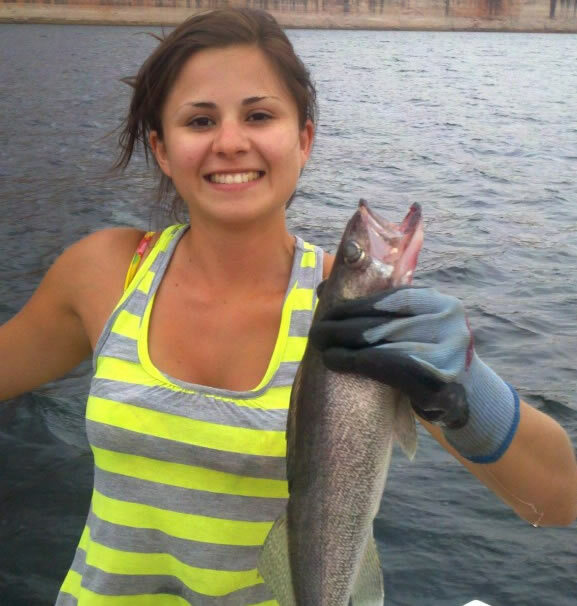 We hope you enjoy your experience at Lake Powell and let Lake Powell Fishing experience be a memory that will last a lifetime. No lavatory onboard but always within 10 minute of floating restrooms on Lake Powell- Conventional tackle provided. Custom camp trips and extended day trips are Private Treaty depending on fuel costs. Each trip will be priced individually based on Anglers needs. Licensing, fly rods, flies, baite (can be purchased from Ambassador) and gratuity for Guide is not included in price.